Anyone smart enough to withdraw from the race to replace Ben Bernanke as next Fed chairman must have something on the ball, at least temporarily. The Larry Summers' haters got their wish today as Summers withdrew his name from consideration. Summers called president Obama, then issued a a formal withdrawal letter stating "I have reluctantly concluded that any possible confirmation process for me would be acrimonious and would not serve the interest of the Federal Reserve, the Administration or, ultimately, the interests of the nation's ongoing economic recovery." In response, the White House issued a statement "Earlier today, I spoke with Larry Summers and accepted his decision to withdraw his name from consideration for Chairman of the Federal Reserve. Larry was a critical member of my team as we faced down the worst economic crisis since the Great Depression, and it was in no small part because of his expertise, wisdom, and leadership that we wrestled the economy back to growth and made the kind of progress we are seeing today. I will always be grateful to Larry for his tireless work and service on behalf of his country, and I look forward to continuing to seek his guidance and counsel in the future." Further, his terrible advice and lack of insight is in large part the reason we see so little progress being made today — the lack of economic growth, the concentrated bank power, the still dangerous financial system and of course, the sub par job creation. I will always blame Larry for the way he damaged my presidency. To anyone who to seek his guidance and counsel in the future, please don’t make the same naive errors I did. Will Yellen Be Any Better? The criticism of Summers is justified, but will Yellen be any better? I suggest the answer is a resounding no. She is more dovish than Bernanke, and that is saying quite a lot. 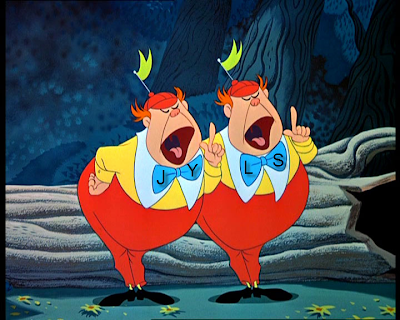 Tweedle Dum vs. Tweedle Dee; Does Janet Yellen Have What It Takes? The detractors win both sides. Neither Yellen nor Summers is qualified. In fact, there is not a single person who would take the job that is qualified. There should not be a Fed at all. The idea that a group of economic wonks can sit down and micromanage the economy to health is preposterous. Central bank clowns have proven time and time again they have no idea what the interest rate should be. A massive bubble in dotcom stocks followed by a massive bubble in housing is proof enough. And this Fed on which Yellen sits has triggered asset bubbles in stocks and bonds and she cannot even see it. Curiously, lots of analysts suggest we do not need Larry Summers because there is not going to be another crisis. Rest assured there will be another crisis, and much sooner than most think. But that does not make Summers qualified. His role is to help create crises, not stop them. The only candidate that makes sense is the candidate who will set a target date to end the Fed. Unfortunately, no such candidate is on the short list. The choice is between Tweedle-Dee who rates to slosh money around even more than Bernanke in a futile effort to create jobs, and Tweedle-Dum who will do whatever Wall Street wants. Practically speaking, is there really a difference? Yellen is 100% assured to make a mess of things. So would Summers. But Summers has one thing over Yellen: He is smart enough to not want the job. I might point out there was some small chance that Summers would be more fiscally responsible than Yellen. We will never know because "Yellen it is". The market loves the news (at least right now). S&P futures are up 18 points (1% on the news). Gold is up $21 to $1330. Things might get interesting in a hurry.